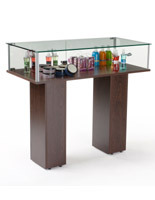 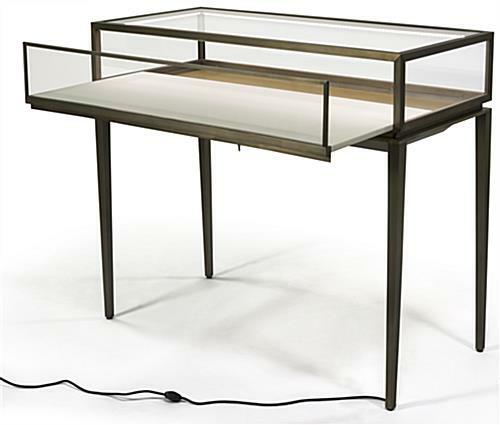 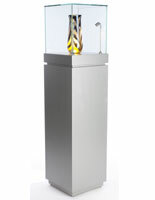 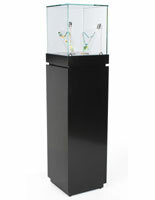 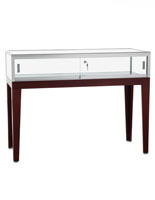 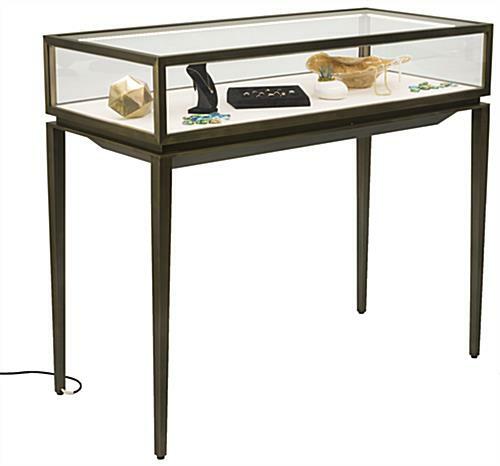 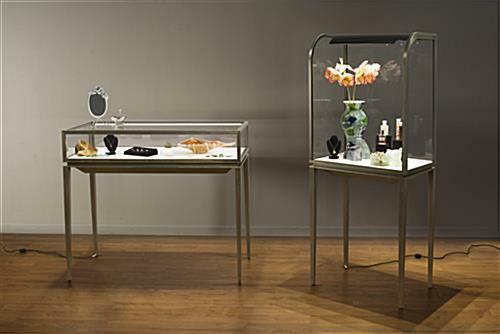 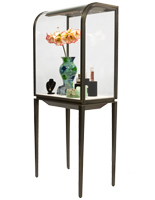 This modern jewelry display table is an effective way to showcase high end and expensive retail items. 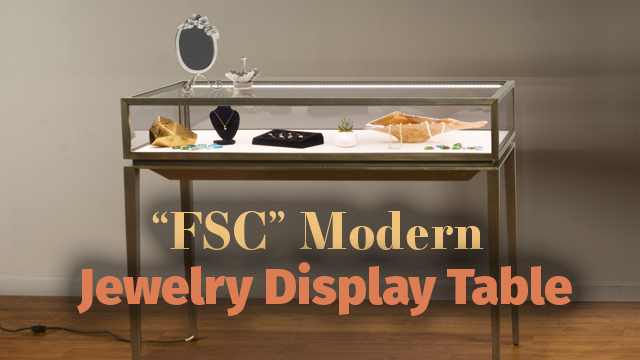 Necklaces and bracelets laid out in trays or earrings presented in holders behind the tempered glass case are beautifully engulfed in LED lighting for a dramatic store fixture composition. 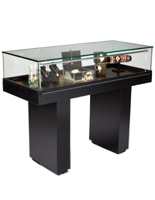 Accessing boxes or merchandise from this lockable display table is made easy with the rear slide-out drawer opening that allows employees to secure and step away to assist clientele. 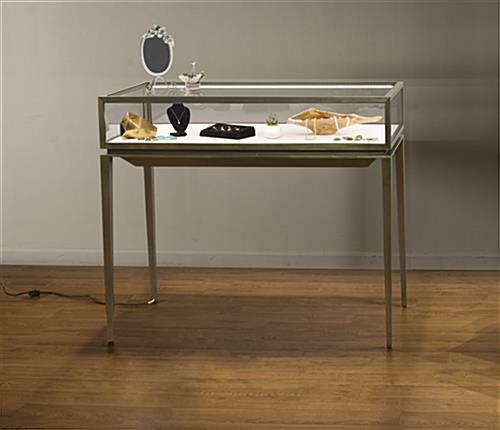 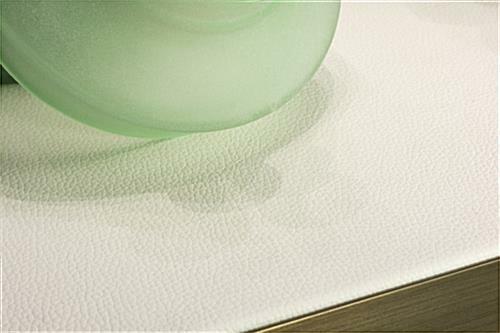 Gem stones and gold rings will flicker and come to life beneath the illuminated case, while the cream leatherette base interior offers a neutral palette for trays or loose fashion items. 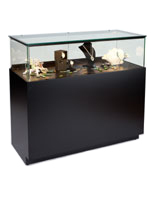 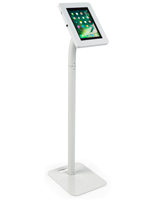 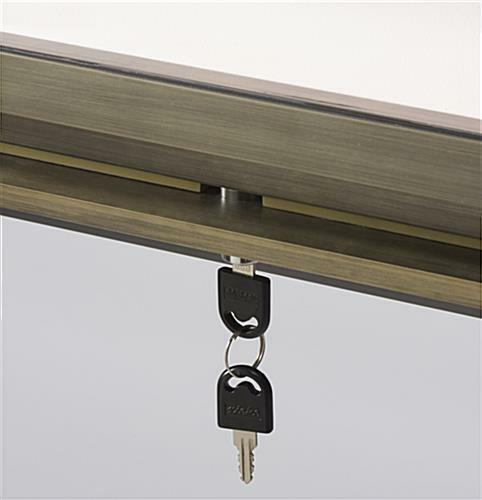 Adjustable floor levelers and a power cord exiting from the rear tapered leg provide the fundamentals for a stable store fixture without an unsightly construction. 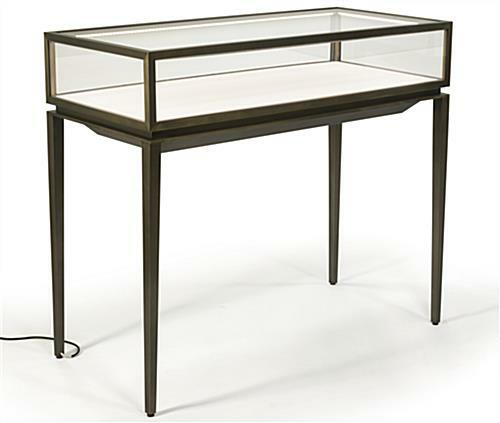 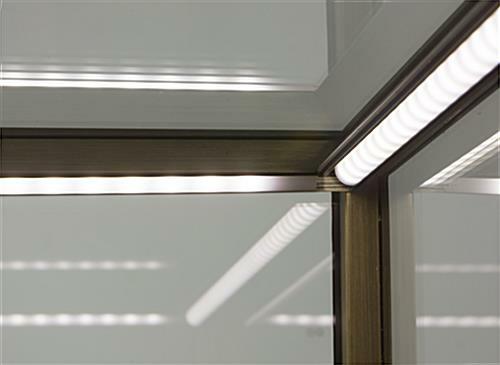 Brushed stainless steel framing is finished with a bronze lacquer coating for a timeless design for each display table that is sure to withstand years of well-earned use.